On 15 March, over 80 delegates gathered in Bristol to celebrate the success of the National Early Warning Score (NEWS). Attendees at the event looked back over the last three years at how far the NEWS tool has come. We then looked towards a future where it is used across the healthcare system. NEWS is a tool developed by the Royal College of Physicians which helps spot the signs of deteriorating patients. This improves patient safety by recognising seriously ill people earlier, particularly those at risk of developing sepsis. 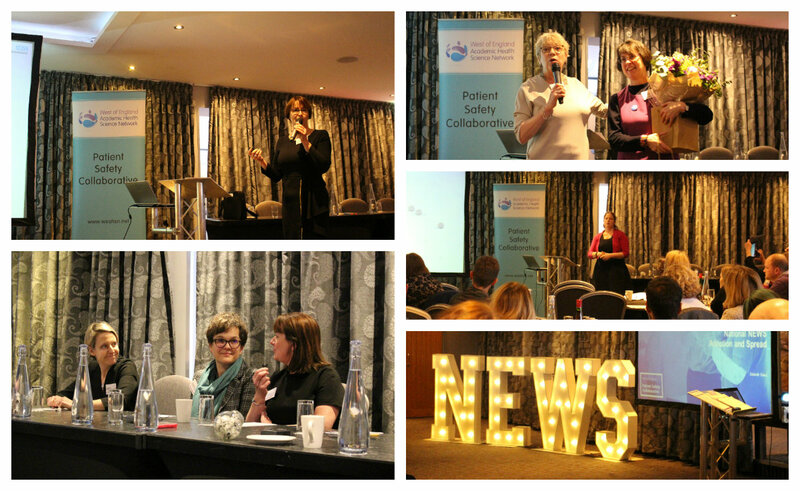 We delivered a programme developed by the West of England Patient Safety Collaborative to encourage the use of NEWS across the region. The event recognised the significant amount of work that has gone into implementing and embedding NEWS within each organisation across the region. We celebrated the fact we are now able to see the improvements to patient safety and a reduction in mortality as a result. The afternoon kicked off with a reflective talk from Anne Pullyblank, Clinical Director for Patient Safety. Anne looked back at the original aims of the project and what has been achieved so far. Deborah Evans, our outgoing Managing Director took us through the national picture. In November 2017 Acute Trusts were surveyed and it was identified that the West of England AHSN region was one of only two in England where NEWS is in use across all Acute Trusts. This was followed by talks from Kate Cheema, Head of Patient Safety Measurement Unit at NHS South, Central and West; colleagues across CLAHRC West; Emma Redfern, Medical Director for Patient Safety and Carmen Hendy from the University of Cardiff. An expert panel comprised of representation from emergency departments, community care, primary care, ambulance services and research. The panel discussed what NEWS meant to them as clinicians and reflected on what difference the project and evaluation has made to clinical care.